If you needed any ideas for a Guardians of the Galaxy cosplay, you can always dress as Baby Groot. As Cinema Today, Eigaland and Yahoo! News Japan report, the film’s Japanese voice actors cosplayed as their onscreen counterparts at a recent press event in Tokyo. Dressing up as Rocket or Mantis doesn’t seem that tricky. But teeny tiny Baby Groot? Also doable if you can make the character’s body. 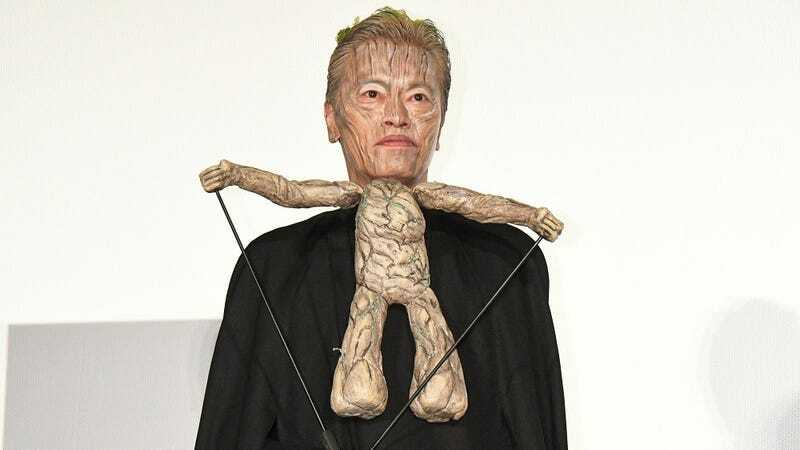 Actor Kenichi Endo is doing the character’s Japanese voice track, and he spent about an hour and a half in makeup to help pull this off. It’s the little Baby Groot puppet with movable hands that really sells it. Darker backgrounds, too. He is Groot. Baby Groot. With a giant human head.